Licences you should be keeping an eye on with Spin Master include Secret life of Pets, Powerpuff Girls, Angry Birds (movie and game), Abby Hatcher Monster Catcher, Rusty Rivets and a re-launch of Bakugan! Abby Hatcher and Rusty Rivets seem to be original IP's. Expect to see something animated from Rusty in 2016, and Abby in 2017, though mayyybe we'll see toys sooner? No clue what's going on with Powerpuff Girls, as we'd heard Spin Master snapped up the licence a while back and so far...nothing. We'll keep watch. There's also a slight possibility Spin Master have Kung Fu Panda 3. 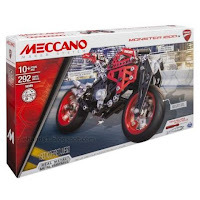 Following a year which saw Meccano make its mark in the Construction Toy sector, 2016 is set to be bigger and better as it introduces new lines to its Tech range. With a lower price-point Robot, Meccano Tech now has something to suit all interests and pockets. 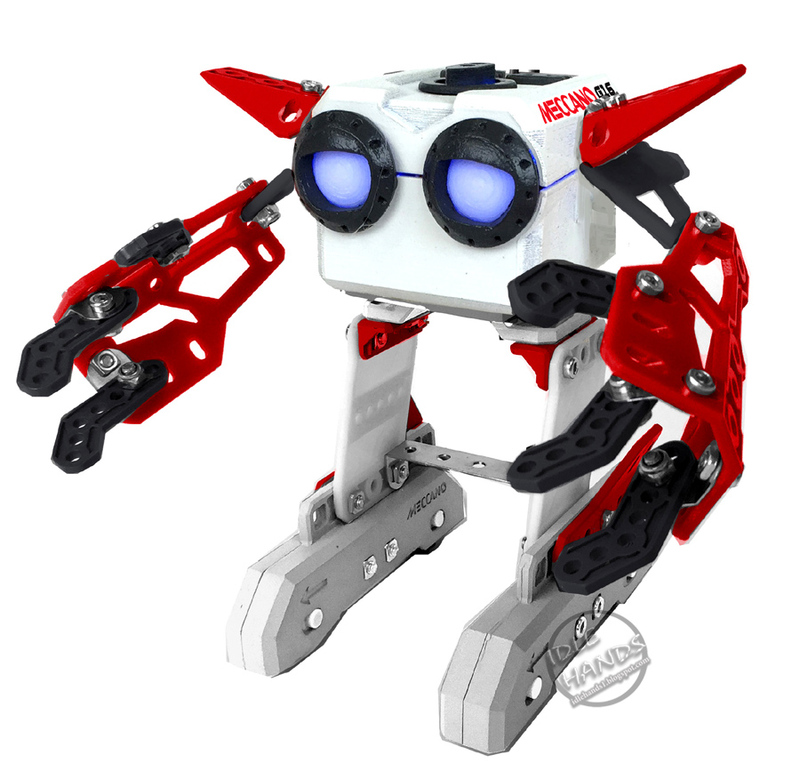 Meccano Micronoids are a range of three different characters each equipped with a Meccabrain and moving parts. The three Micronoids can be programmed to dance, sing, navigate obstacle courses and interact with each other. Micronoids activities can be programmed via Meccano’s unique LIM technology or it’s built in D-PAD. It also has a yes/no feature which means it can give you a simple answer to any question that might be perplexing you – taking the effort out of having to make a decision. Like its bigger cousins, this versatile Robot can also throw some moves on the dance floor as it responds to the beat of any tune! 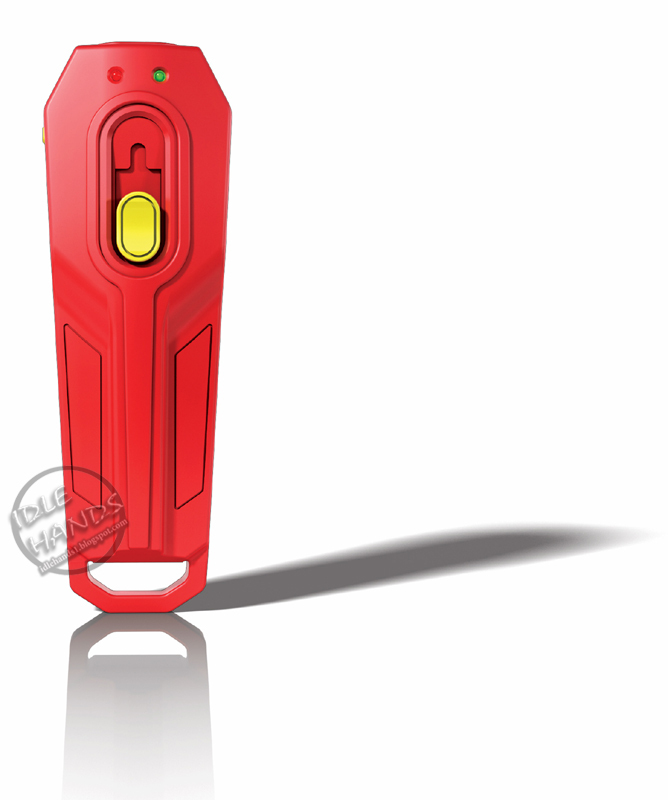 Just like its 2015 predecessor, the Meccanoid G16 will stand 2ft tall when built, and features over 1000 phrases with an ability to tell jokes, stories, give lectures and respond to natural language. With three programming functions, LIM, Ragdoll, and Motion Capture both via an App - this cheeky little robot will quickly become your best friend. The G16 comes with twice the memory, a faster processor and loads more new content making the Meccanoid G16 more interactive than ever before. 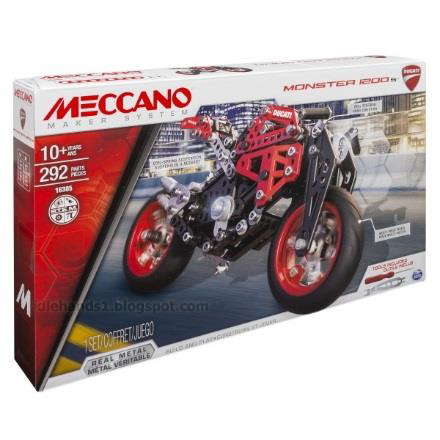 The ‘Big Daddy’ of Meccanoids will also be back featuring an upgraded processor offering new and improved features on the original 2015/G15 KS Model. Its Meccabrain now has twice the memory, more robot intelligence, faster voice recognition, fun interactive features and additional programming capability. Like the G16 but bigger with many more parts, its perfect for youngsters dedicated to the pursuit of more intricate computer programming and engineering challenges. 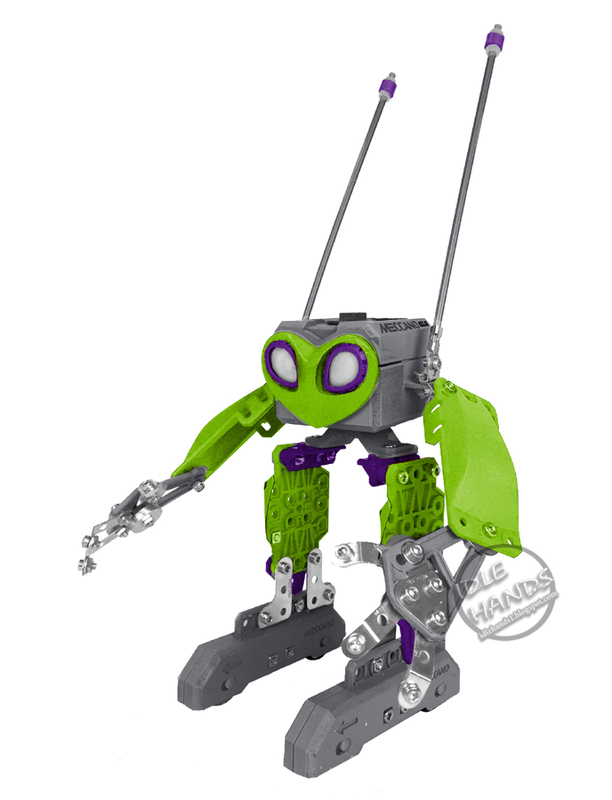 The traditional Meccano sets continue to evolve and see new introductions. 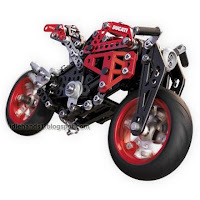 For 2016 a highlight is a new Ducati model to appeal to Meccano fans as wells as dedicated followers of the performance Bike manufacturer. This intricate kit contains 292 pieces which make up a replica model of the iconic Ducati Monster line. 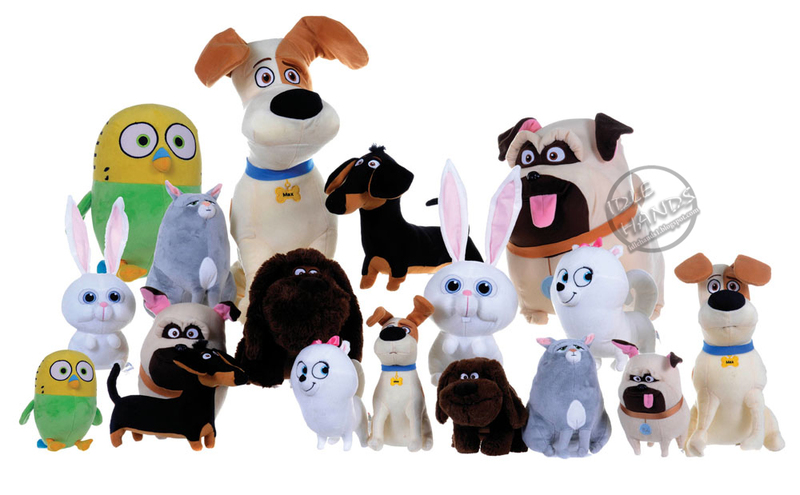 Spin Master is the global master toy partner for the upcoming 3D-animated film, The Secret Life of Pets, produced by Illumination Entertainment and Universal Pictures. Toy plans include plush, figurines and interactive and motorized toys hitting retail May 2016 ahead of the July 8th North American film release. NOTE! We are about 80% sure the above image is Spin Master product, seeing as how they hold the master license, it would have to be, right? 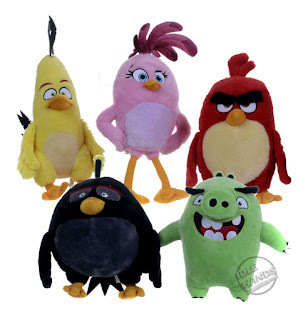 Same as below with this new Angry Birds Movie and Game plush. We know Spin Master have a license, we just haven't been able to confirm plush is included. We'll keep you updated, but for now, take a peek...just know it may not be Spin Master product. Get poppin’ with Popples! The new Netflix Original Series follows the adventures of the BPP’s (Best Popple Pals) where fun, friendship and fantastic adventures pop up every day. 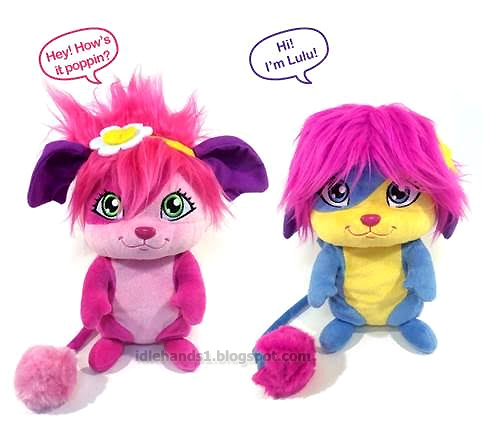 The BPP’s from Popplopolis are cute characters that “pop” open from a soft fuzzy ball into a fun loving friend. Each Popple is poppin’ with energy and a unique personality to help save the day in their own pop-tastic way. Get rolling and bouncing with Popples! Popples don't just talk the talk; they pop the pop too! Each 11" soft Plush character pops to life with 13 sounds & phrases from the show. Turn them inside out and they become a rolling plush ball! 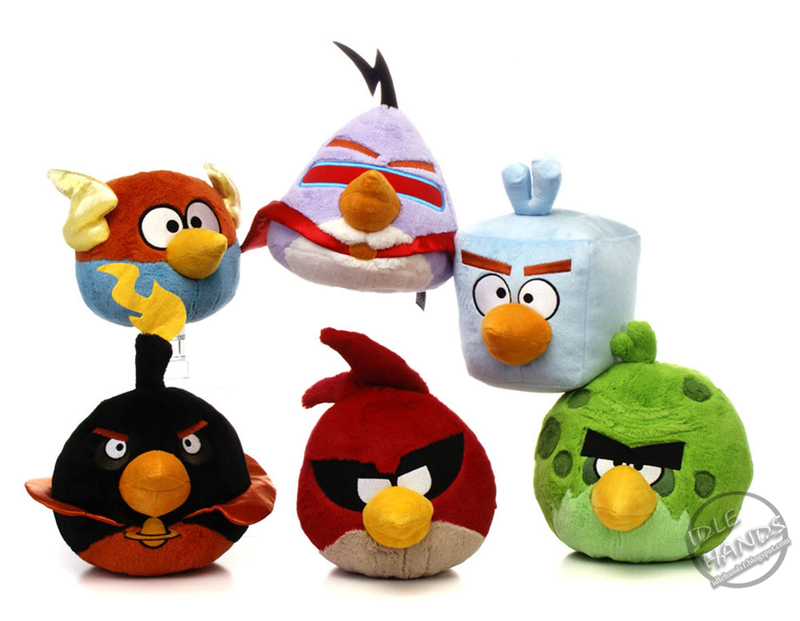 Each 8" soft plush character rolls into the cutest little ball and comes popping to life. 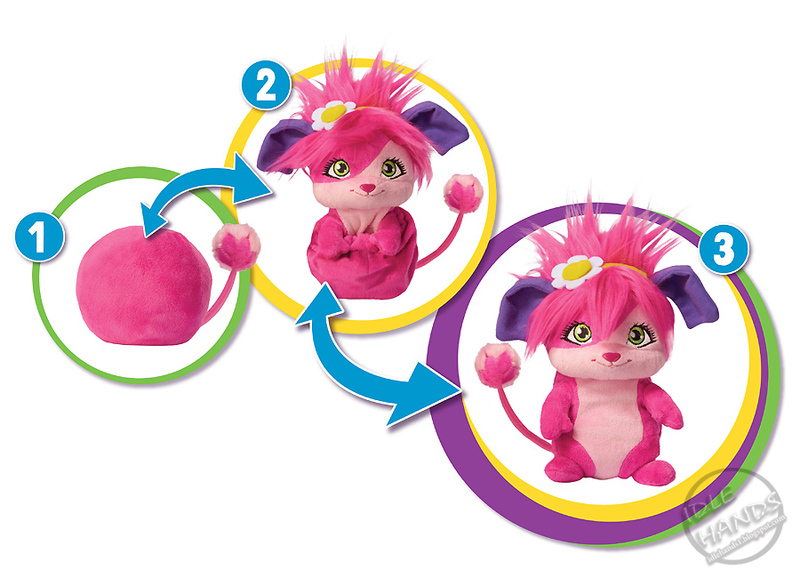 Create your own Popplopolis by collecting Bubbles, Lulu, Sunny, Yikes and Izzy. 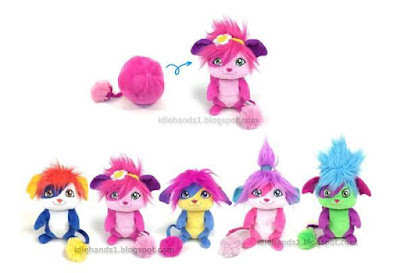 The Popples collection will also include a Collectable Figure Assortment with rolled up Popple having a clever pop-feature which opens the Popple on impact plus two Playsets from the series. Set for their second season, these tumblng, fumbling adorable puppies are tipping the scale of cuteness! 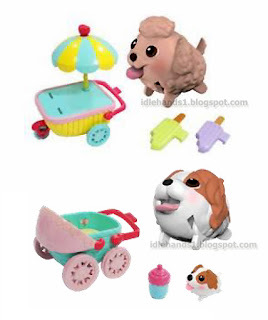 Each Chubby Puppy can waddle, hop, and carry their favourite toy or treat in their mouth. 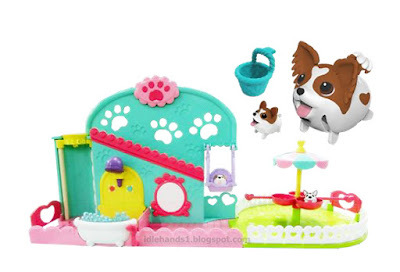 New for 2016 Spin Master introduces Chubby Puppies Babies for the ultimate puppy playtime! Take the Chubby Puppy Babies on a walk in the pram, snack on some ice cream, and stroll on down to the pet care playset for tons of fun! Come to the Pet Care Center for playtime with the babies and some puppy grooming! Chubby Puppy babies have a fun time going up the automatic elevator and down the slide. Place the babies in the carousel and watch as the chubby puppies automatically push the carousel around! It's puppy powered! Puppy powered! The chubby puppies connect to the vehicles and automatically push them along! • Have a tasty ice cream snack and push the ice cream cart! 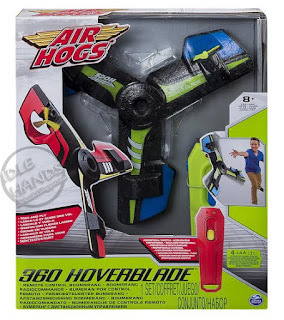 Air Hogs is a line of remote-controlled, free-flying, and air-powered toy airplanes, helicopters, rockets, and cars manufactured by Spin Master. 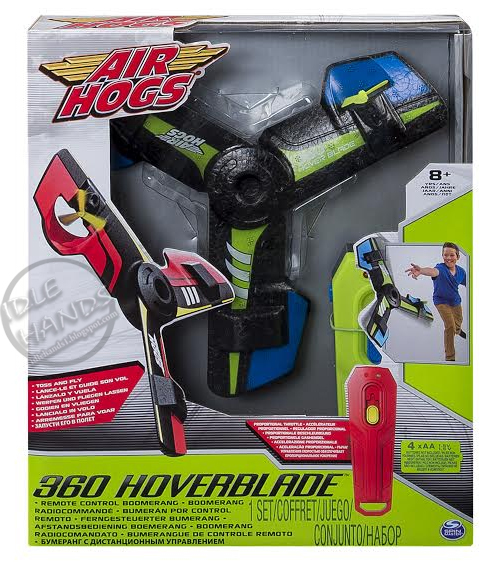 For over 17 years Air Hogs has brought innovation and excitement to the world of RC! 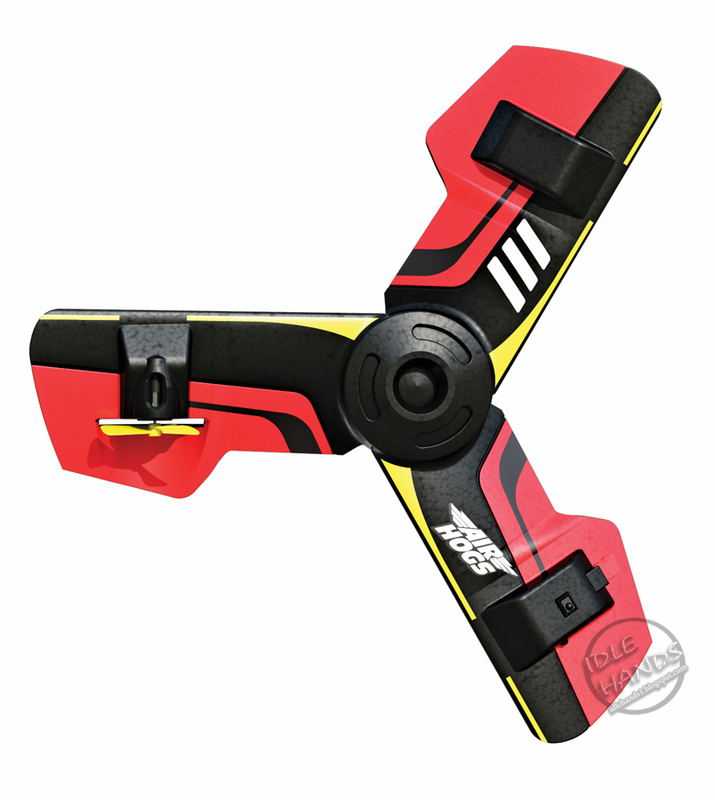 Air Hogs gives pilots of all ages and skill levels the opportunity to experience the thrill of flying. For 2016, we are proud to deliver the most innovative, easiest to fly and diverse line of products our fans have ever seen. For everyone who has enjoyed our products in the past, 2016 will be a year to remember, it’s time to GO WILD! 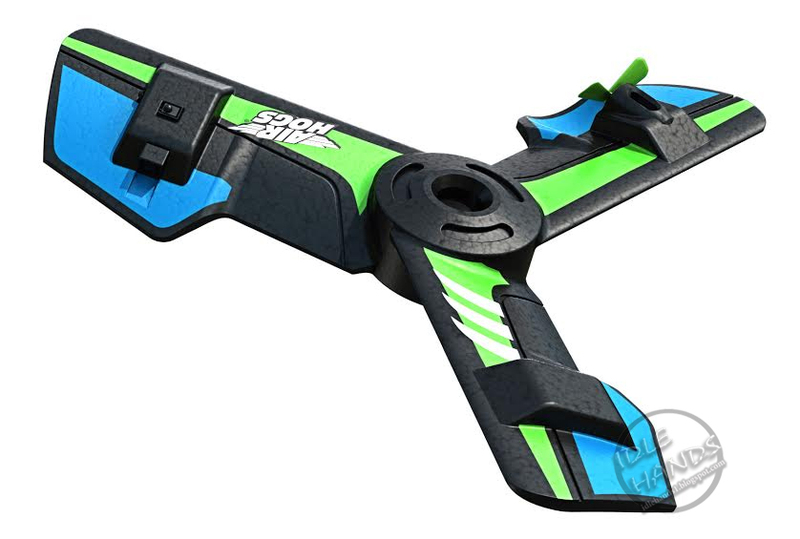 Toss it, spin it, fly it - It’s the 360 Hoverblade! You’ve never seen anything fly like this before! Launch it from the ground, your finger, or toss it and watch it perform amazing stunts. Just use the control slider to increase power and watch the 360 Hoverblade spin up and take to the skies both indoors and outdoors. 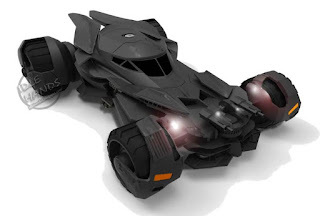 Fans of Batman will want to get their hands on this amazing RC official movie replica of the famous Batmobile. With full-function control, this rechargeable 2.4GHz vehicle comes complete with motorised gun turret and LED headlamps for exciting and feature-filled movie action enactment! Soar over Gotham City with the remote control Batwing RC plane from Air Hogs. 2.4GHz communication gives you a range of up to 250ft while twin props provide extreme power and handling. 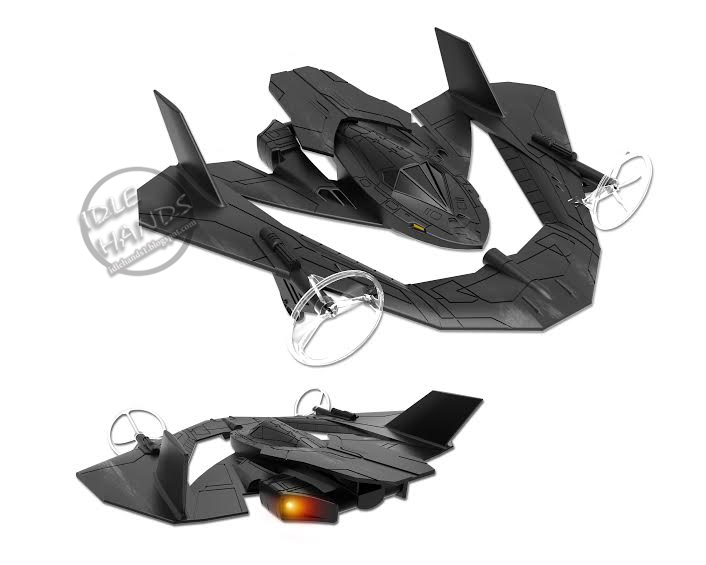 The RC Batwing is built with landing gear, which allows you to accelerate and takeoff from the ground, and includes LED thruster lights for an authentic look right from the Dawn of Justice movie.